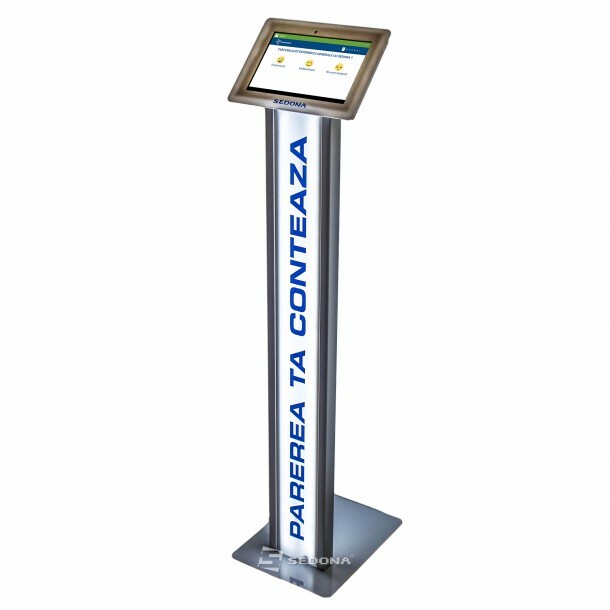 Increase customer loyalty with an interactive and accessible feedback and polling system. With customer feedback and customer survey, take care for customer satisfaction and find key information. 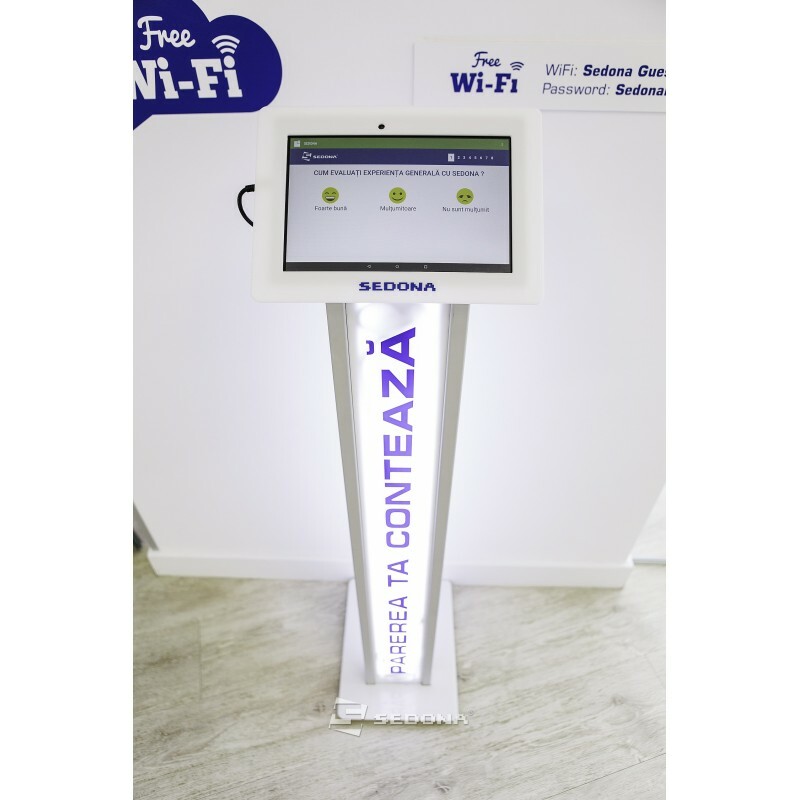 This attractive feedback and poll application is available in many areas: retail, HoReCa, medical, car, spa centers, etc. Customizable to customer needs. 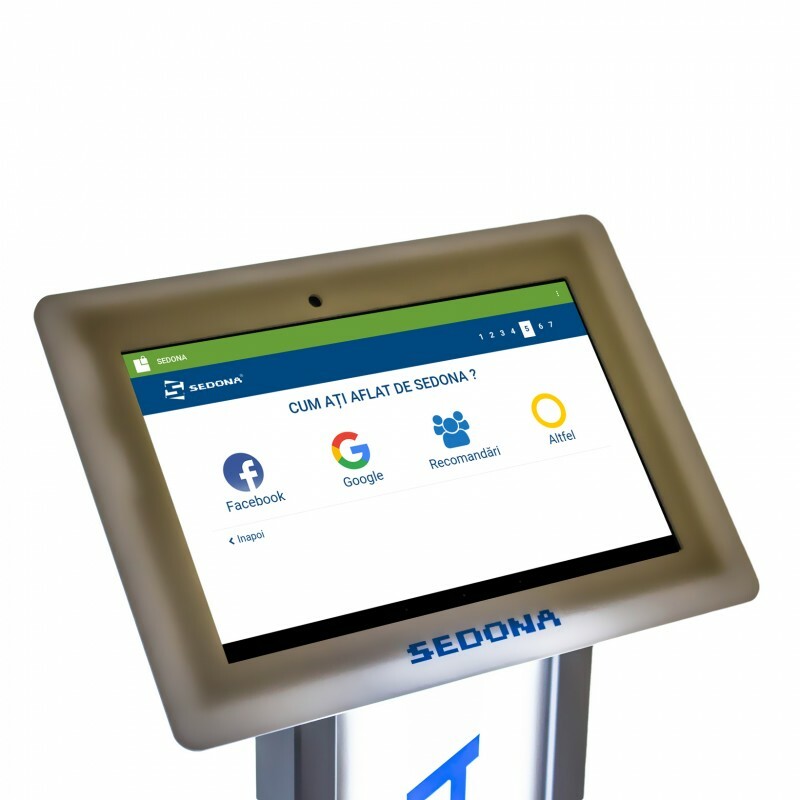 Web application, compatible with all operating systems (Android, iOS, Windows). 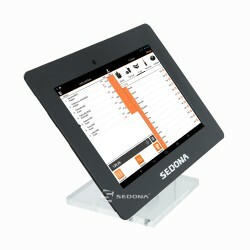 The database is installed on the client's server, or, for a fee, on the Sedona server. The stand's foot is lighting customizable. Stable and solid. USB cable 1,8m gift. Low power consumption due to LED technology. 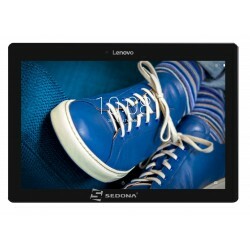 Compatible with Lenovo tablet 10 ", and the other tablets diagonal of 10". To check compatibility with other tablets please contact us. Foot made of rectangular aluminum plated Plexiglas. Default foot ships with the text "Your opinion here" - customizable on demand. Personalization included in the price for the 7 pages of the application. Customized customizations are available on request. For multiple stands connected to the same database, discounts are granted. Customization of the stand included.